EBL Construction, a division of EBL Partners, an established construction and project management firm based in Naples, Florida, announced it has been retained by LCOR to design and execute substantial renovations at the 920-unit Cascade at Morgan Falls apartment complex in Sandy Springs, Georgia, located on the north side of Atlanta. Cascade at Morgan Falls is the second project undertaken by EBL Construction on behalf of LCOR, the first being the design and construction of a $1 million clubhouse and apartment complex in Aventura, Florida. 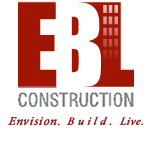 EBL is currently in the pre-construction and design development phase of the Cascade at Morgan Falls project, a portion of which involves an analysis that will determine if the existing leasing center and clubhouse should be completely renovated or if it should be replaced by an entirely new facility. EBL is preparing a pro forma for both approaches. As the design/builder for the project, EBL has retained Atlanta-based architect Hanna Design Alliance and is also working with Martin Langfield of APT Design, a San Diego interior design firm that has a history of designing and executing interiors for LCOR. In addition to its work on the leasing center and clubhouse, EBL will be renovating the complex’s grounds, amenities, gym and residential service center. “With the development of a substantial number of residential units in downtown Atlanta over the past 10 years, competition for quality tenants at apartment complexes on the city’s north side has intensified,” said EBL Managing Partner Paul A. Benson. “LCOR’s intention is to build up both the caliber of its Cascade at Morgan Falls residents and the property’s overall rent rolls. The complex was built in the early 1990s and is showing wear and tear. It’s not entirely in bad shape and various areas are in need of renovation and curb appeal improvements. The units range in size from studio residences to one and two bedrooms and there is nothing larger than 1,100 square feet. Total construction costs at the Cascade at Morgan Falls site are currently estimated to be $2.5 to $3 million. Given the impact multifamily property renovations can have on rent rolls, the additional investment in the property is a wise course for LCOR. Once improvements designed and executed by EBL were completed at the Aventura site, LCOR was positioned to increase rental rates from $800 to just under $1,200 per month. With its 920 units, the completion of value-added improvements at Cascade at Morgan Falls offers a potentially substantial return on investment.